I created a little group called “Let’s Travel the World Virtually” where my son and his friends will learn about a country’s culture. 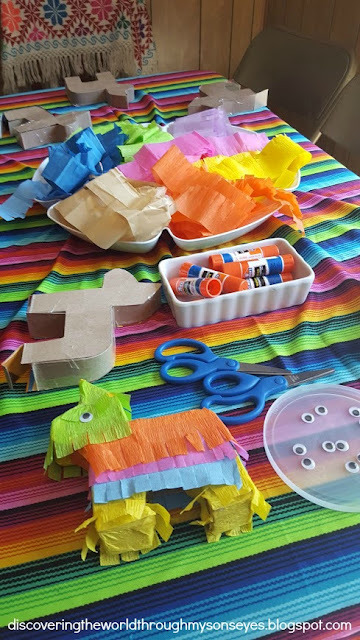 Today we’re learning all about Mexican culture, and the kids will be making their very own mini donkey piñata craft activity. We had a fun-day of learning, creating and laughter! The night before his friends came over, I prepped for our mini donkey piñata craft. 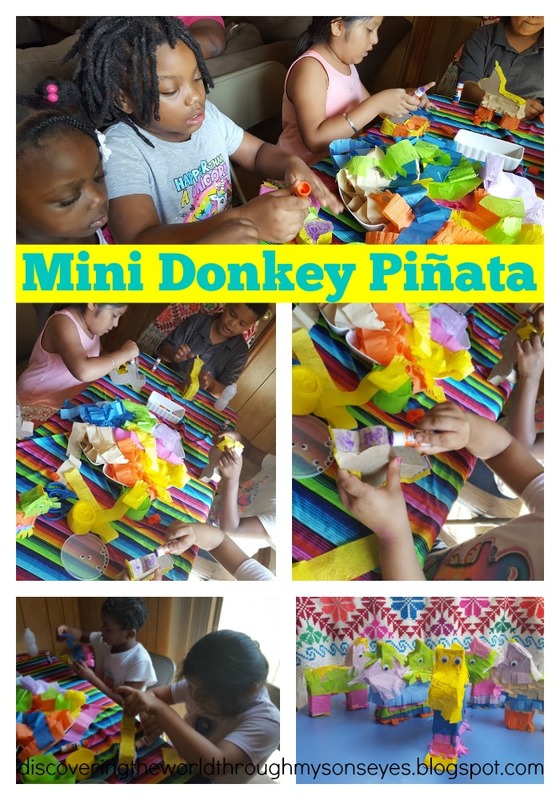 I cut out of cereal boxes 6 mini donkey piñatas. I traced them on the cardboard, and then cut them out. I didn’t have masking tape, so I used what I had which was clear tape. I cut various strips of colored tissue paper, and gathered the glue sticks and some googly eyes. I set-up the craft area, with tissue paper, glue, and kiddie scissors for the kids to decorate their piñatas. Before our craft session, I used the Little Passports Mexico kit that included a letter from Sam and Sophia that I read out loud to them. 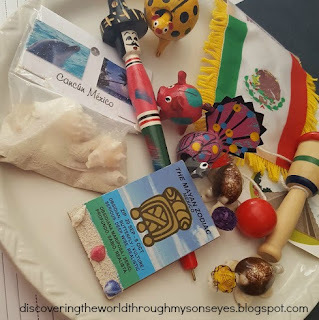 The kit also includes a souvenir balero which is a Mexican cup-and-ball game, a picture of the country, and an activities sheet with a mole recipe. We all played the balero and it was loads of fun, and we had plenty of laughs! 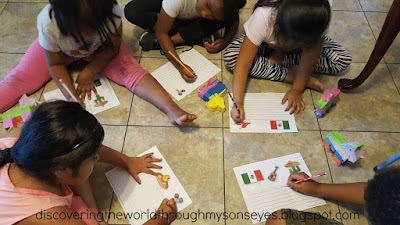 We talked about Mexico’s flag, and I shared with them other Mexico souvenirs that my sister brought from her travels as we located Mexico on the globe. I read the book If you were me and lived in… Mexico: A Child’s Introduction to Cultures Around the World for them. 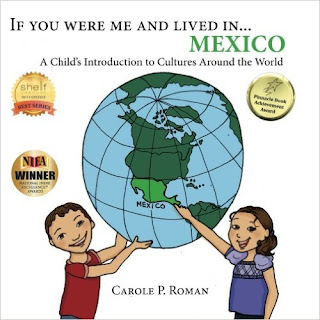 They were quite fascinated with the book especially two of the girls whose Mom is from Mexico, but they’ve never been to this beautiful country. After the kids finished decorating their piñatas I filled them up with M&M chocolate candy. They loved it!!! Hope you enjoyed this post, as much as we enjoyed having little one’s friends over. 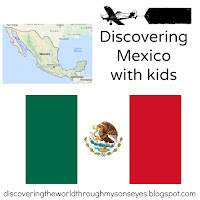 For more posts on Mexico take a look at this one on making some home-made tortillas that the kids can help make or paletas? 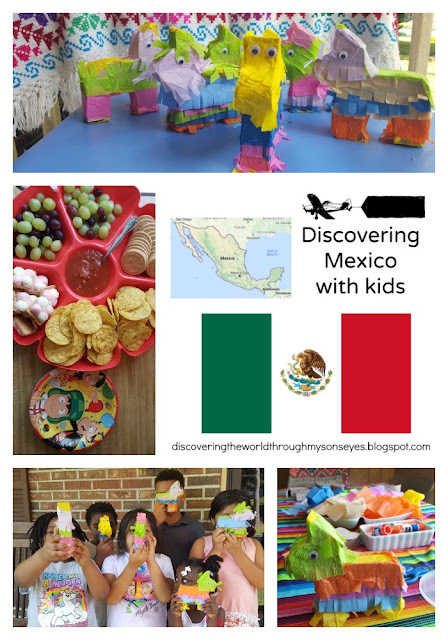 Also, read our first post on Mexico, or about our Cinco de Mayo cultural play date. Until, next time! We’ll be discovering one country at a time, once a month. Learning about the world through stories, hands-on learning, crafting and food. This post is part of the Multicultural Kid Blogs Global Learning for Kids Series. This month featuring Mexico. 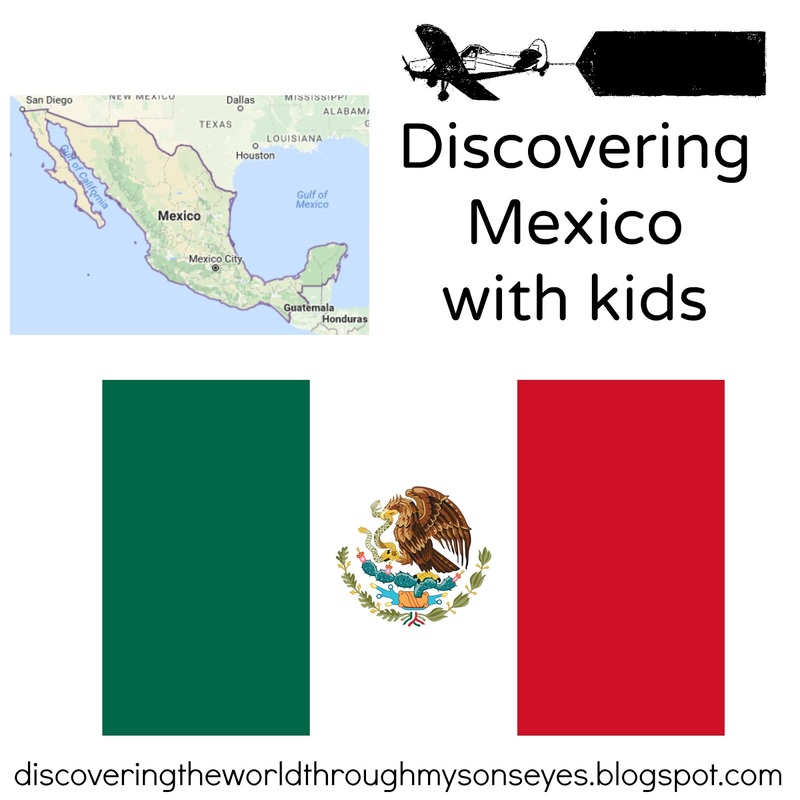 Do you have a post on Mexico? Be sure to link-up below!